There weren’t any explanations of how bread was baked in the fifth century. I’ll have to write the author a personal letter about that, even though I’m not entirely sure that Irish bread baking helped save civilization in any way at all, but perhaps he has some notes he could share with me. He presented so clearly his thesis of the simultaneous breakdown of the Roman world with the intellectual and literary build up of the Irish one, that I didn’t much mind. In short–it was Saint Patrick who paved the way for hundreds of peaceful monasteries to be built around and about that grassy, green land. The monasteries housed eager Irish monks who not only enjoyed their work of creatively copying out texts, but who also savored the ancient classical texts, spending their days, and nights copying and illuminating, learning, discussing, and writing little verses of their own in the margins and on scraps of vellum. While most of the lands under Roman rule were deep into the middle ages, losing their educations by way of poverty and serfdom and the burning of libraries… the Irish were enjoying a time of peace–a time of light and discovery–and they gave these treasures back to the Western world, once the dark ages began to wane. If you don’t know the basic story of Saint Patrick–please go get yourself a copy of Zachary Lynch’s The Life of Saint Patrick: Enlightener of the Irish. Though it’s just a children’s picture book, the story comes with all the dramatic and important details that highlight his story; it is taken straight from St. Patrick’s own Confessions. I’ve been gushing about Mr Cahill’s writing all month. No wonder it sat on the bestseller list for almost two years in the mid 1990’s. If you’re at all interested in learning more about Saint Patrick and his influence on Western civilization, or if you’re just looking for a an inspiring read that dips you back in history, have fun with this one. And now, back to my oven. There’s bread in there, and I need to figure out who to give it to! The sick man listened to Brigid’s words of faith, of how Christ gave His life to save mankind, to save both the rich and the poor, the old and the new. And on that day the chief was baptized and died, one more saint added to heaven because of the work and faith of Saint Brigid, the Abbess of Kildare. I love this story. This way of telling a story of the heart, through your hands. I’m excited, though, to have finally tried my hand at weaving with wheat. I ordered the wheat specifically for this purpose from Dale Scott a professional wheat weaver in Idaho, who both sells the crosses, and the kits so that you can make your own. It’s a very affordable thing to do, and a great tradition for your home each January 31st. As you might be able to see in the video, I didn’t realize that the wheat needed to be soaked before weaving. I was all ready, sitting comfortably in the sun, my back to our lovely new stand of raspberries, and as I started folding the wheat in half, each stock snapped in half in my hand. We stopped filming and the only remedy I could think of was to soak the wheat in warm water for a bit. Thankfully it worked! Phew. Though my cross didn’t look nearly as neat and symmetrical as the finished one I purchased from Dale, I liked the homemade outcome of my effort and look forward to putting it up above our door in just a few days. Oh, and one last note. The music accompanying my video is Prayer, sung by Haley Westenra. A favorite artist of ours here at home–a young New Zealand girl, of Irish descent, with a heavenly voice. I know you can’t hear my narration very well in the video; I think Miss Westenra’s song is much more appealing than anything I might ever have to say!!! Hope you’re enjoying these last few days of January. 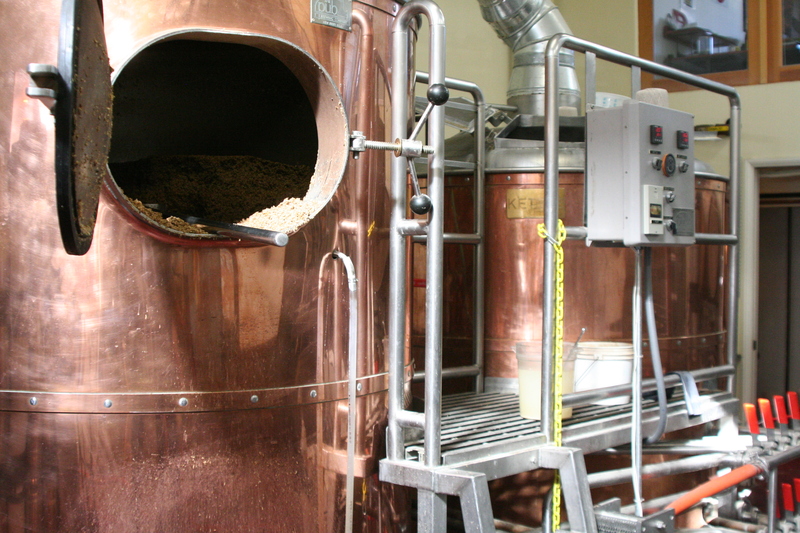 Ever since visiting Telegraph Brewery, here in Santa Barbara, I’ve been wanting to use the rest of the spent barley that was scooped out of that very cool copper cooking contraption. It’s one of those impressive machines that the brewers in the fifth century would have given many cows and sheep for. My first use of the barley came straight from the copper tub and I mixed it into my dough, the barley still warm and plump and sweet from being boiled. Using the barley this way was delicious in the bread–it added flavor, texture and taste, and I would bake bread again and again like this if I lived down the road from the brewery and could sneak over for scoops on the sly. I posted about this bread a week or so ago. Another probable fifth century use for the spent barley I’ve been thinking about is–drying, then roasting, then grinding the barley, to mix in with the wheat flour. It doesn’t sound that outlandish, does it? Roasting is not a new idea–we roast tea leaves and coffee beans and veggies, and the Ancient Celts were formidable roasters–it was their festal and favorite way of cooking meat. I don’t think I’m too far off thinking that maybe some baker cousin of Saint Brigid had red hair, was a bit odd like I am, and roasted barley on occasion to put in her bread. First I spread the plump and boiled barley out on a cookie sheet. The oven had been used that evening, so once it cooled I put the sheet of barley inside to dry over night. It dried for about 18 hours before I cranked up the oven to broil, then placed the barley back in for three minutes. I’m famous in this house for burning things. The oven was just dinging three minutes when I pulled the smoking tray out. We ran for the doors and windows so the smoke alarm didn’t sound. Sure enough, the barley in the middle portion of the cookie sheet was burnt. Oh, well. I decided that in the fifth century, folks probably burned things too. So I let the barley cool, then scooped half of it into my small, wooden mortar. 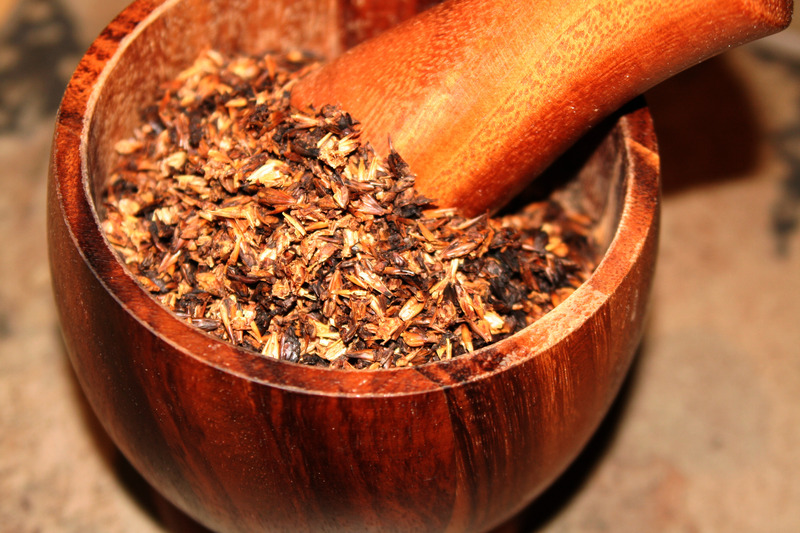 I ground the pestle around for a long while–maybe even 15 minutes–having to switch back and forth between hands, until the mix became as fine as I could make it. Then I called my effervescent daughter, spooned the second half of the barley from the tray into the mortar, and asked her to have at it. Once the mix was finished, I couldn’t resist smelling it. My nose just wandered that way… I wanted to brew it, and taste it. It reminded me of a roasted green tea that I like to drink– Hoji-cha–and it even smelled a bit like coffee. So, the roasted barley in the bread made it almost black. I was surprised at the color; I didn’t expect 1/3 cup of ground barley to make such an impact. And the flavor was…good… but odd. Perfect toasted, with butter and something sweet, like pomegranate jam, or cinnamon sugar, but not a good bread for a potluck or to bring as a hostess gift. Unless you’re bringing it through a time warp, back to Saint Brigid and her household. I bet she’d love this creative loaf. And while you’re taking a loaf of roasted barley bread back to Saint Brigid, go ahead and take back one of those copper beer boilers, too. You could set up shop brewing, and I could set up shop baking, and we’d be friends, having a good ole time, and you’d gladly let me slyly scoop your warm spent barley out of your copper pot. I really wanted to give the loaf of sourdough to a man at a church that I normally see on Wednesdays. He’s in between homes, and I thought with the rain, it’d be nice to give him a warm loaf of bread. But he wasn’t at his usual spot, under the tarp, alone; the rain has changed all of our routines, and I was disappointed not to find who I was looking for. This happens to me often… I think the bread is going in one direction and it ends up heading somewhere else. Maybe I need to plan better? Nah… these changes bring sparks of adventure. Adventure that I need in my life of carpooling and dishes and playing with blocks on rainy days. 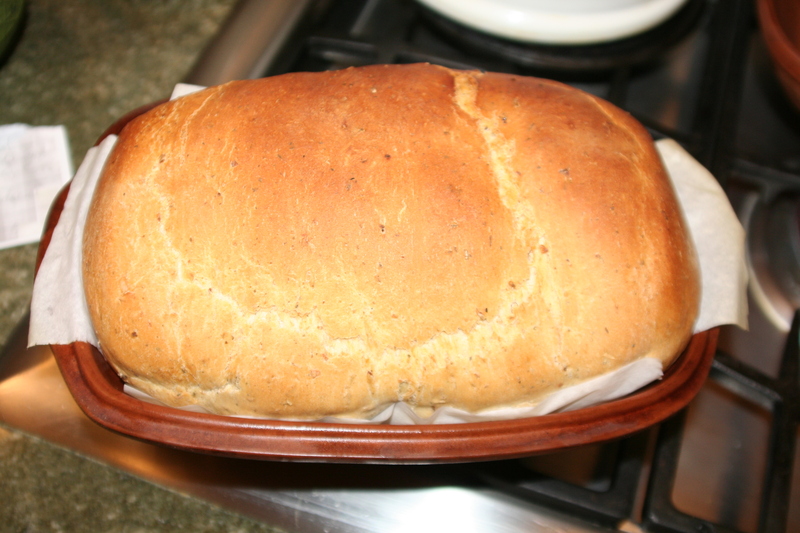 While my son was in the atrium, learning about the Good Shepherd and singing songs with Miss Carla and Miss Kate, I sat in my warm car wondering what to do with the cooling loaf of sourdough. Then I saw him–a familiar homeless character who rides around Isla Vista on his high handle-barred bicycle. He has a wild grey mustache and beard, a few missing teeth, and I recognized him from Monday night dinners and other church-sponsored meals. 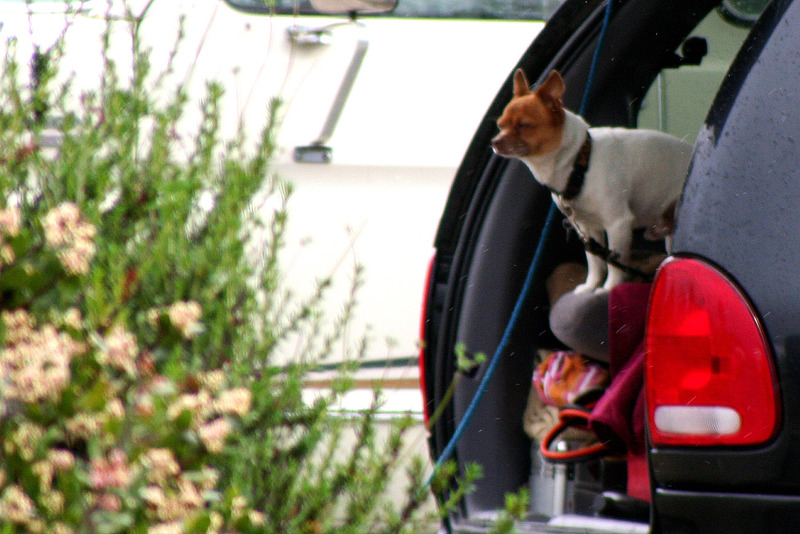 I approached the van, where I found his wife talking to one of the two dogs they keep. I walked the twenty feet back to the car. It started to drizzle. I started to read. Then I stopped, and chided myself for thinking that what was in that van was A Lot of Stuff. 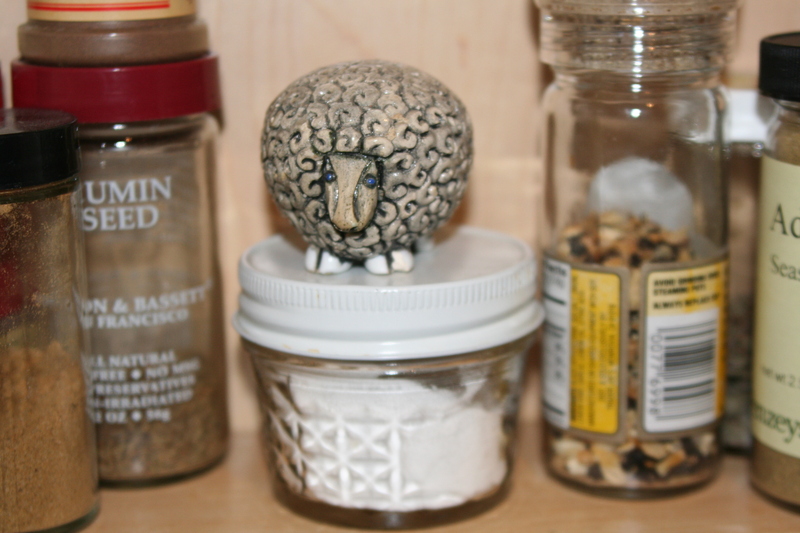 Sure, just look at me and my thing-filled home. My twenty pairs of shoes, my corner cabinet full of china and crystal candlesticks… How many vans would I need just to hold the books and files out in my office? 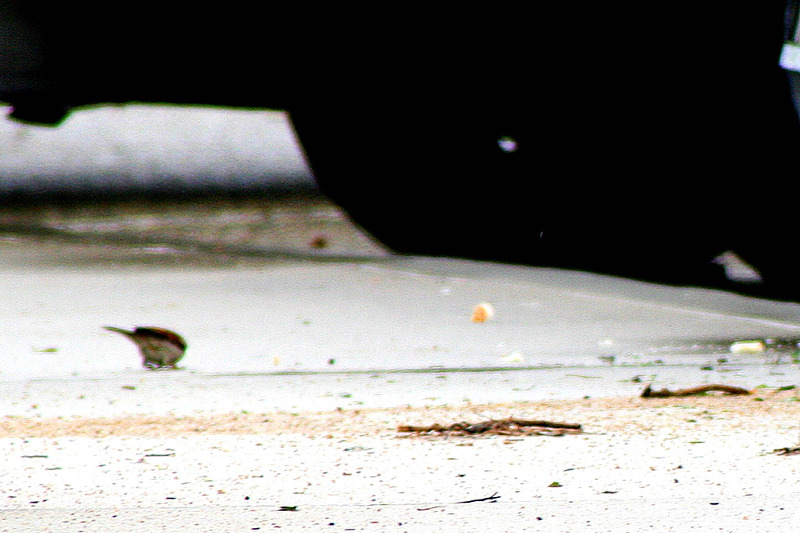 Ten minutes later, I spied my bread, flying through the air, and onto the ground. Mustang was enjoying his own moment to share. He was pulling out the spongy crumb, just like my dad does–savoring the crust himself–and tossing the warm inner dough to the sparrows. At first I was a bit shocked as I watched that good bread fall to the wet and dirty ground. That was good bread! But I’d already learned this lesson, I reminded myself. The bread is theirs, not mine–my part of this small puzzle is done. And besides, if I can share, why shouldn’t he have that same joy of giving? My mind shifted, and suddenly I was enjoying the scene completely. Saints time and again throughout history have shared their meals with animals. Sts. Seraphim and Herman fed bears, treating them like beloved friends. St. Francis of Assisi tamed the wolf in Gubbio, making a pact with him as though he were a friend, entreating the people of the town to feed him like he was a proper member of their community. St. Jerome befriended a lion, removing thorns from his claws without fear for his own life, and then allowed him to stay in his own cell as one might keep a favorite dog. 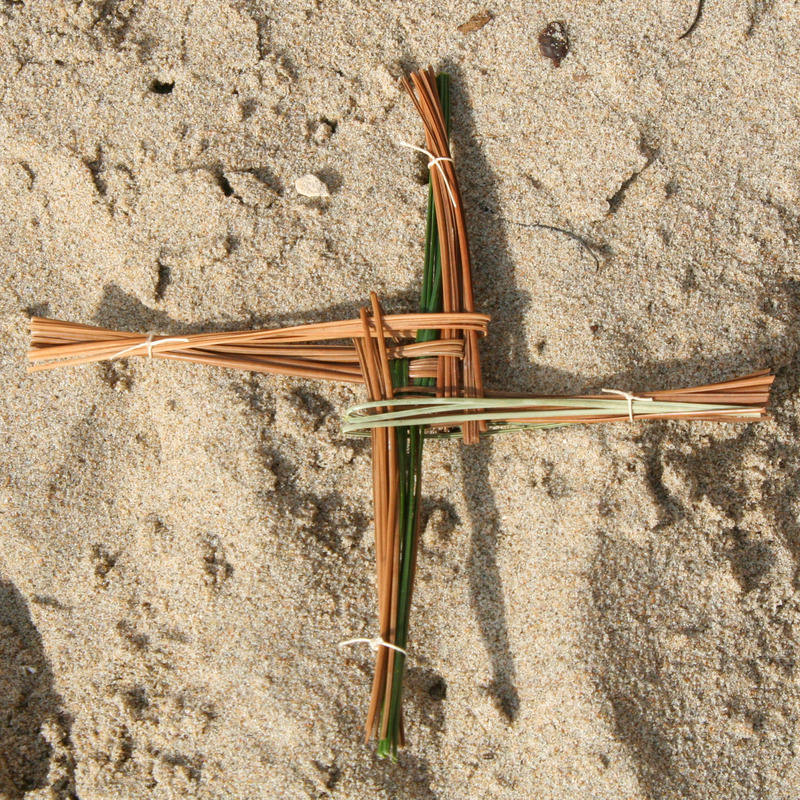 St. Brigid herself is known even today as a patron of flocks and herds. I thought it was so beautiful that Mustang turned directly toward those sparrows, wanting to give something so newly his, away. I’m so glad we didn’t give this bread to anyone. 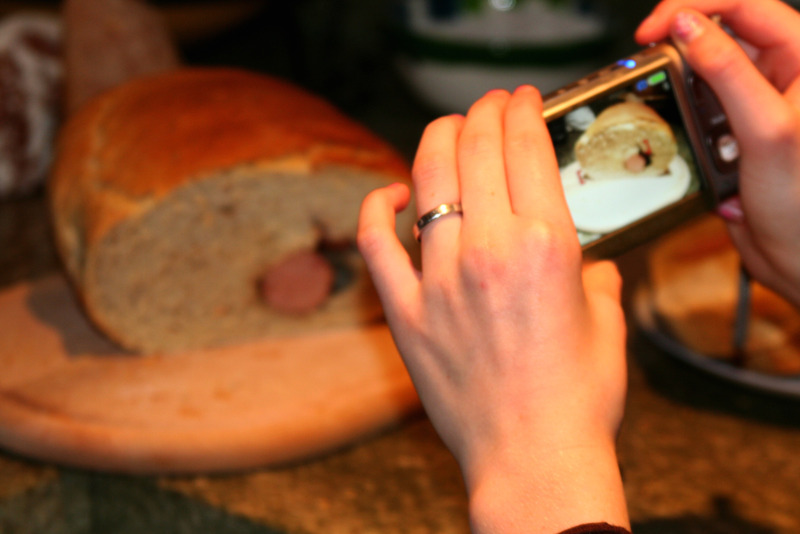 It was an experiment and though the bread dough itself was delicious, the inclusion of the sausage made it just plain weird… My kids were a little grossed out, which is why you find my daughter, above, taking a photo of her own. Probably to bribe me with in the future! Often clay pots have been mentioned as baking vessels for ancient civilizations, including the world of the ancient Celts. They would bury the pots in the ashes of their fires and let the heat of the coals cook the food within. Since clay pots need to be gradually heated (otherwise they crack), I imagine that if St. Brigid were cooking with one, she would have had to tend the pot diligently for the first few minutes, nudging the pot closer and closer to the more intense heat as it warmed. 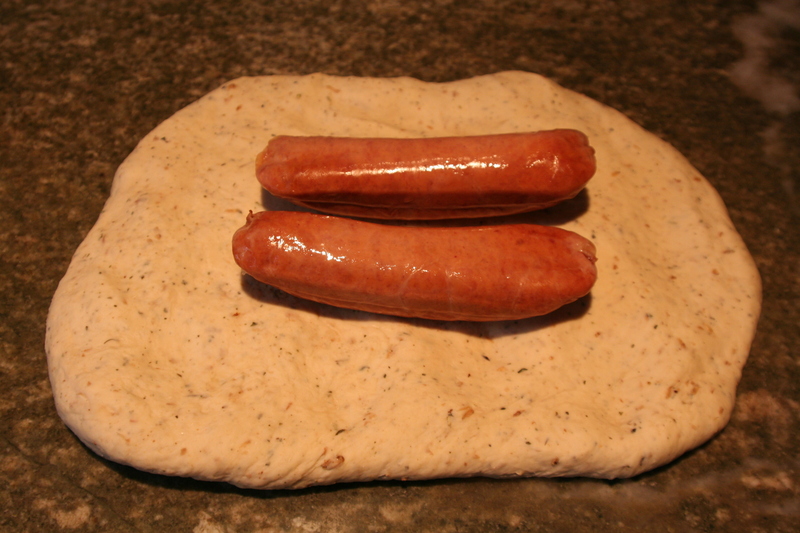 The sausage bread recipe I used came from The Complete Guide to Claypot Cooking by Bridget Jones. I thought that if the Celts were going to add anything savory to their bread, it might be a type of sausage or herbed meat… Who knows if I’m right? ( I do know that they didn’t have chocolate, poor Ancient Celts–the chocolate honey loaf is really the bread that I wanted to bake…) The sausage bread was fun to try–and easy to do, it’s just that the aesthetic appeal of the bread was lacking–and then, when we didn’t eat it all, I wasn’t sure how to store it. Normally I just leave my uneaten breads cut side down on the cutting board until they’re nothing but crumbs, but I wasn’t about to leave the sausage out over night. The bread went into the fridge, not a very fifth century thing to do, and then everyone was over the novelty. We ended up cutting out the sausage to eat on its own, and toasting the remaining bits of bread for breakfast. Okay, we’ve been hanging out in the fifth century for a couple of weeks now. Today I’m baking some really bizarre roasted barley bread. It’s rising as I write. 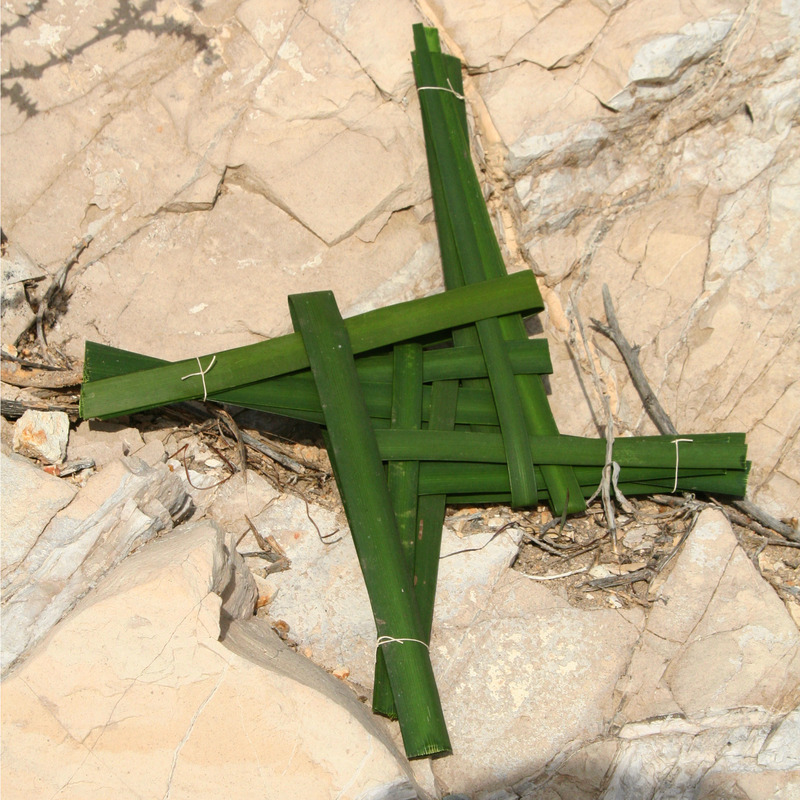 And hopefully this weekend, with the help of my family, I’ll try my hand at wheat weaving. That should be a crack up! 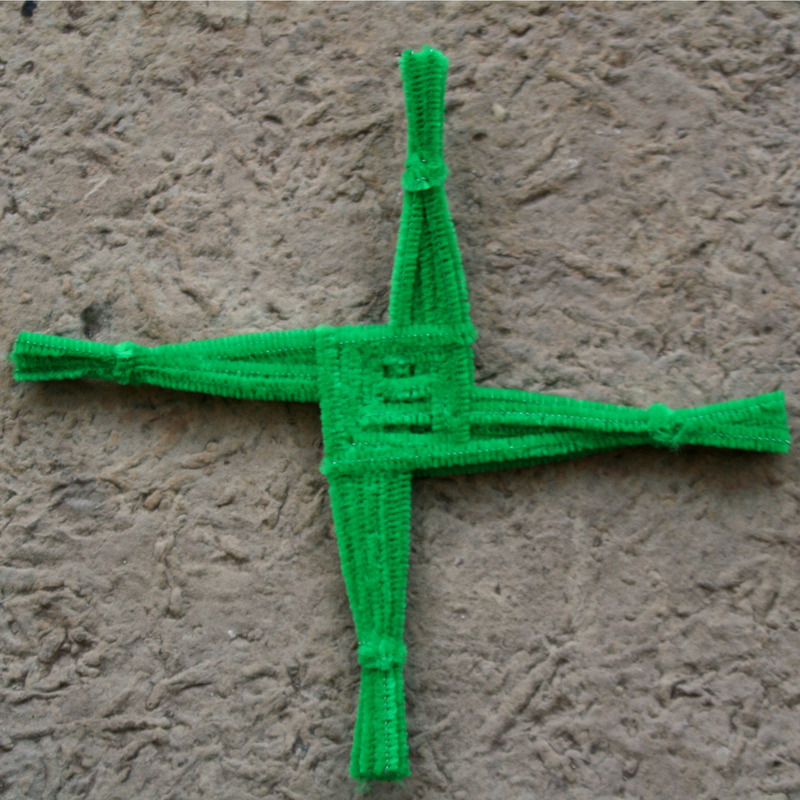 Only ten days until St. Brigid’s feast day. Cheers! Gave to the Harris Family–they are willing to try any bizarre breads of mine! First off–I have to say, the title above is a misnomer to be sure. In the fifth century, the Irish had no idea of sodium bicarbonate, and Saint Brigid certainly wasn’t handing out soda bread to the hungry. Though American Indians were using this type of leavening agent long before the Europeans, it wasn’t brought to Ireland until 1840 0r so. So, I’m off by many, many centuries. 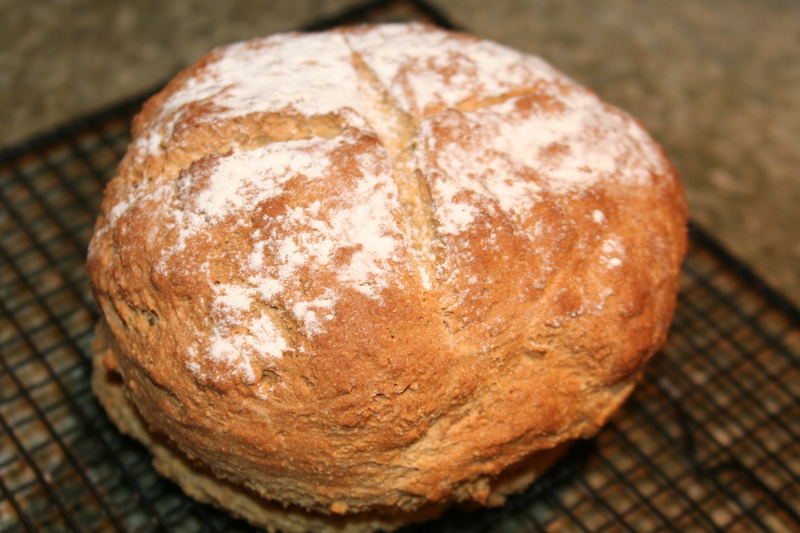 But this being the month of the Irish in our home, I just couldn’t resist making soda bread at least once. It’s so easy, and tasty, and… well, we were having Irish stew, and it was raining heavily, and there was a fire in the hearth, and we just happened to have a bottle of Guinness on hand. It couldn’t be helped. I’ve made this recipe before and knew it would be completely edible and yummy. It has a muffiny taste, a nice crust and would be a great bread to have a youngster make with some supervision. All they need to do is measure out the ingredients, stir a little, shape a little, and then get some help with the scoring and the oven entry. 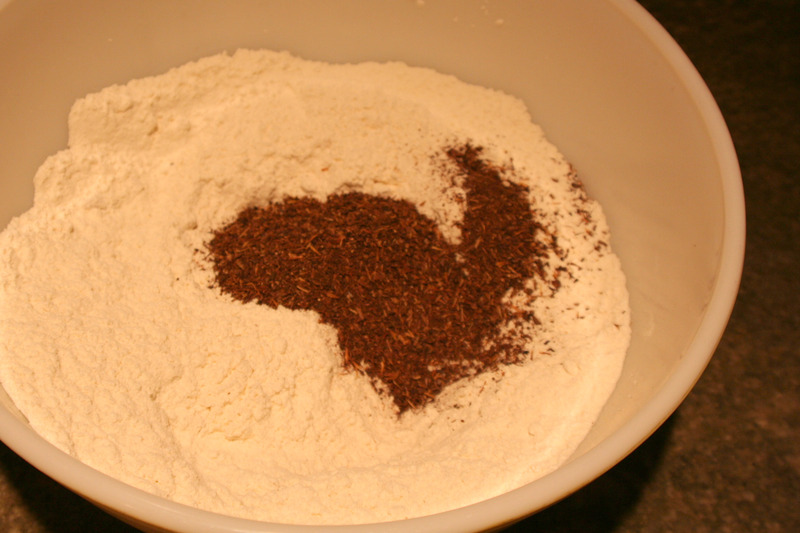 I use a recipe by Jeff Smith from his cookbook: The Frugal Gourmet–On Our Immigrant Ancestors (but he accidentally forgot the salt in his dark version, so don’t forget to add a teaspoon back in..). There’s also an amazingly simple but delicious potato leek soup recipe in this cookbook that I make time and again during periods of fasting. In order to activate baking soda, known as sodium bicarbonate, you need acid. Lemon juice, cream of tartar, yogurt, buttermilk, cocoa, and vinegar all work. Buttermilk is the traditional ingredient the Irish use to activate the soda in soda bread. When the soda and acid is mixed, carbon dioxide is released, this is what makes the dough rise. 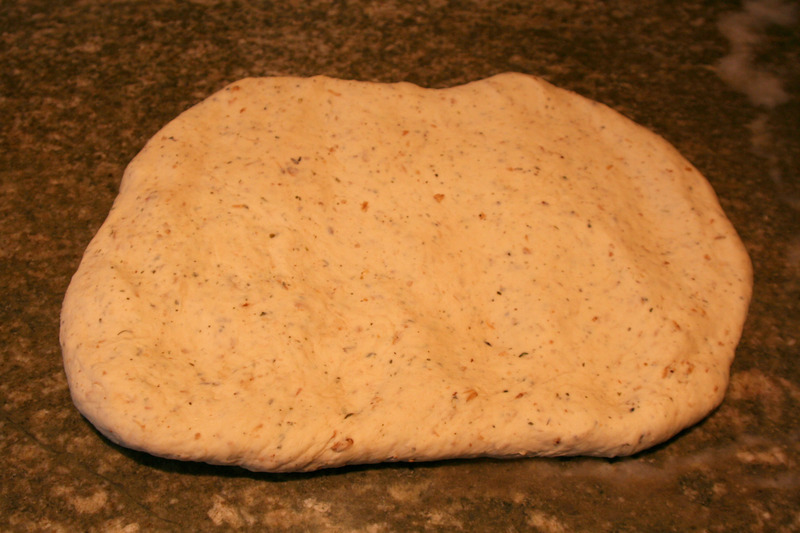 The activity begins immediately, so you don’t want to overmix your dough, or let it sit around a long time before sliding it into your hot oven. I definitely overmixed mine. 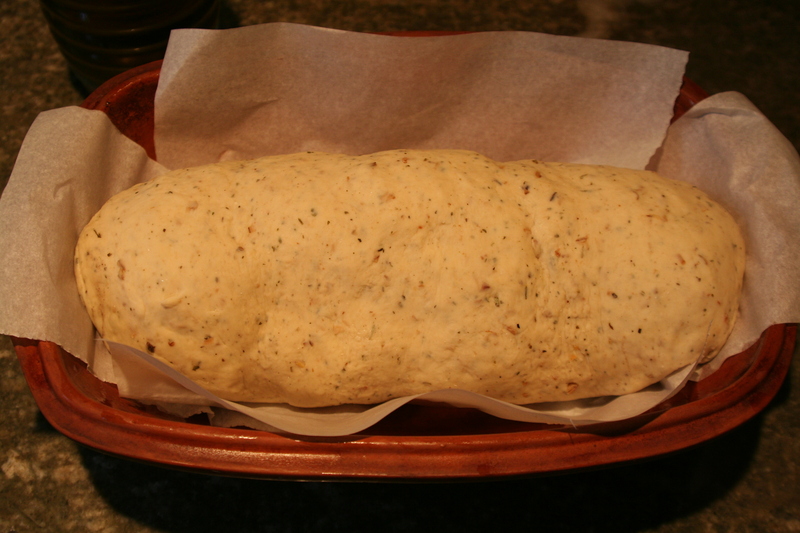 I’ve been too caught up in yeast bread–in kneading, and kneading… Next time I’ll behave. The first commercial factory to develop baking soda was founded in New York in 1846. When you make soda bread, cut a deep cross into the top of the dough. This allows you one more way to offer the bread both to Christ, and to those you’re feeding, plus it allows heat to penetrate into the thickest part of the dough. The traditional ingredients for soda bread are: wheat flour (preferable spring wheat, which contains little gluten), buttermilk, salt and baking soda. 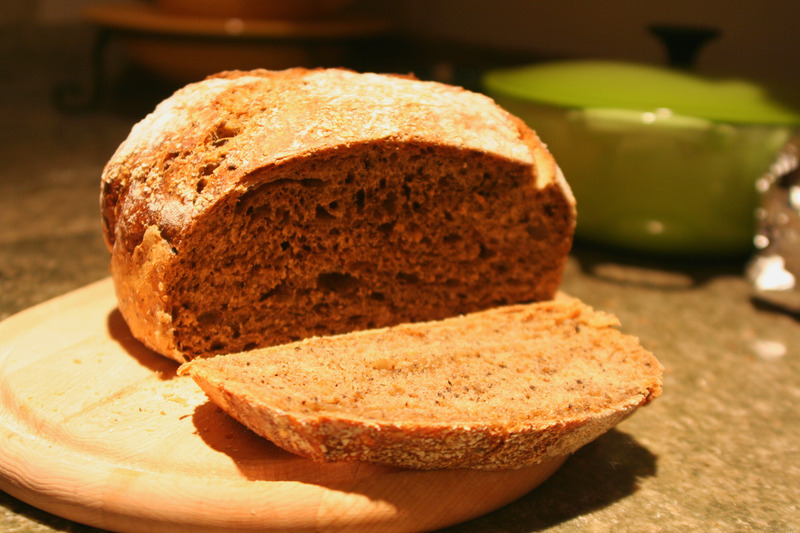 There are many soda bread recipes on the web that you could try. I would find a simple recipe first, that doesn’t have too many additional ingredients, just so you can taste the bread the way the Irish really like it. Soda bread is such fun to make. And it takes just a pinch of the time that a yeast bread requires. Let me know your results! 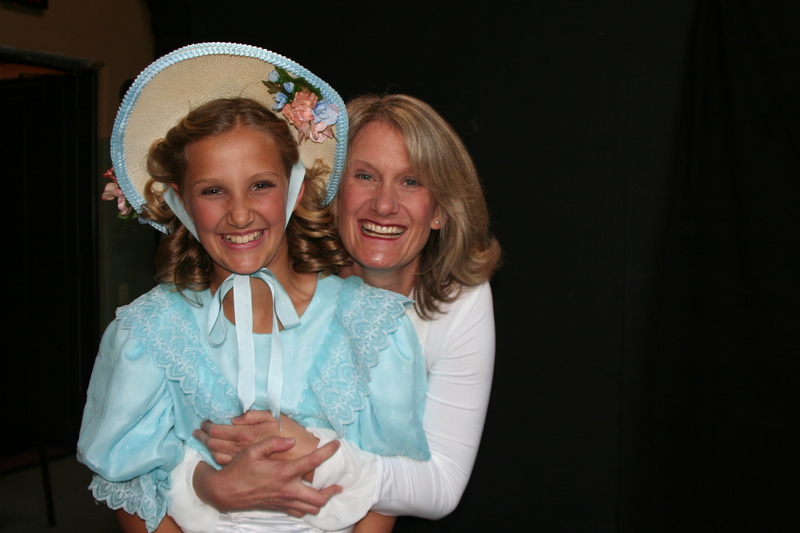 Here she is pictured with her daughter, before a performance of Pirates of Penzance last November. I’ve watched Rebecca in action for a long while, and have studied her (I coordinated all the uniforms for a local children’s choir, so hung out in the back room–a lot! ), hoping to pick up a few of her secrets–some I’d like to share with you today–especially if you have an active role in educating or raising children. Even though she is so musically gifted, she is foremost a teacher, and I believe that she could inspire folks to learn just about anything. She contends that any child can be taught to sing–and it’s true, I’ve seen some miracles happen! Rebecca respects children. From the get go she treats them like musicians, like professionals and she loves them with hugs and smiles and countless encouraging words. She never talks down to a child–never rebukes a note gone wrong, but instead uses positive examples to get kids moving down the right path. “Jessica, sing that again for us–that’s just what I was looking for!” And Jessica happily sings the phrase, and those who weren’t quite getting it now have an example to follow, and Jessica is thrilled for having done it right. Rebecca encourages both discipline and play. We traveled with her to a festival in Hawaii, when my children sang in the local children’s chorus. Ms. Hodson loves to have fun, and rallies behind the kids to get in the pool and swim and scream and splash around. But when it’s time to sing, the kids are expected to stand up tall, to be completely engrossed in the music at hand. This balance or trade off of both the fun and the work was a part of every rehearsal, of every musical endeavor. The children knew that the hard work went hand in hand with laughter and learned to flip between the two through basic signals that Rebecca used. One signal I remember is her “Ooooooooo” that she would sing in her head voice and then the children would all join in. The other is a clapping rhythm that the teacher sounds out, clap, clap, clap-clap-clap. Then the kids repeat this clapping. These signals are markers between play time and work time–they’re simple methods that work beautifully. I think her teaching methods, of respect and love, of discipline and play, and of expecting more are worth passing on and celebrating. We had dinner together at her home, and what a dear friend she has become. I am grateful for her influence in our lives, and hope that you have someone musical in your community who inspires you, too!